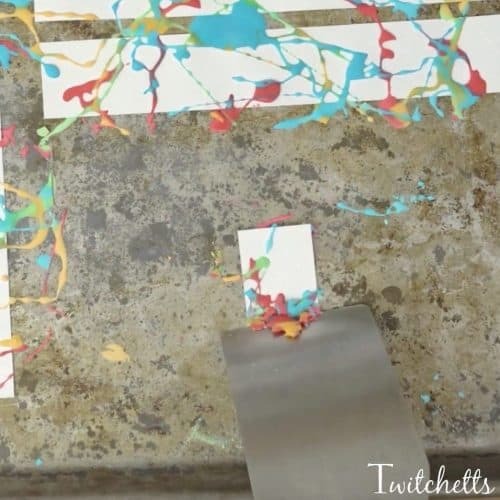 Have you ever tried painting with oobleck? The results will amaze you! 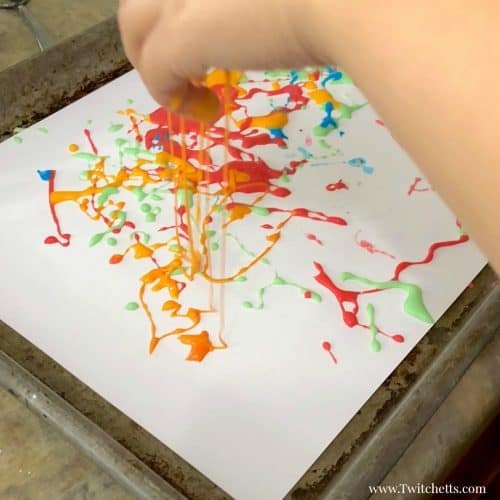 Get your hands on this addicting goo and create a painting that is unique and one of a kind! Sensory play is something we like to incorporate into play time in our homes. If we can turn it into something crafty that’s an added bonus! 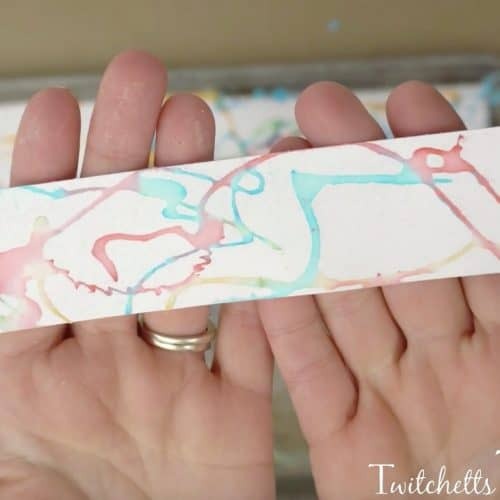 My daughter and I decided that we wanted to experiment with painting with oobleck, and the results were beautiful and fun! 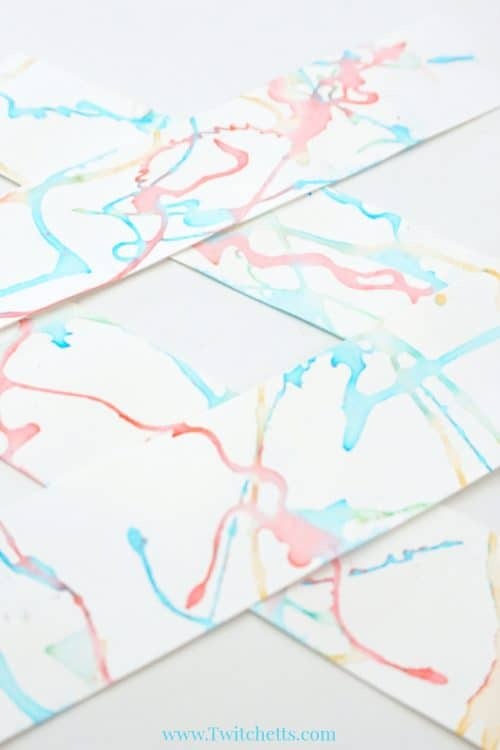 So add some cornstarch on your next shopping list and give this process art a try! 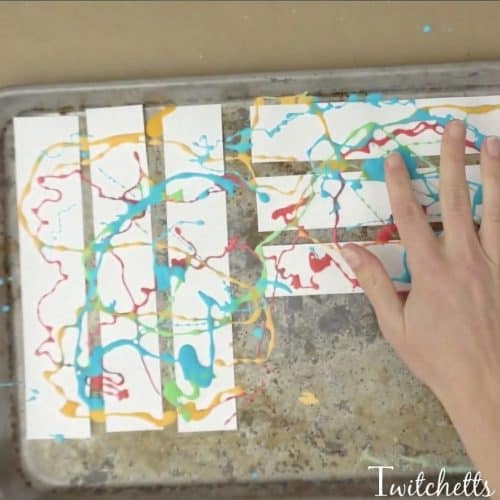 Here is the step by step instructions for painting with oobleck. 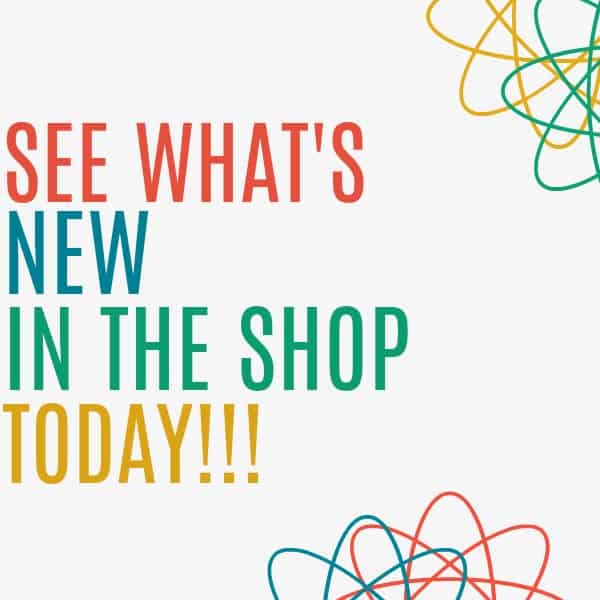 You can also check out the video below to see all the fun in action! Start by placing approximately 2 tsp of cornstarch into each of your mixing cups. 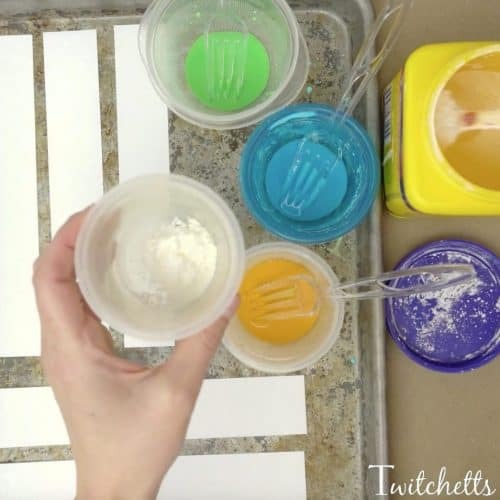 Add a little food coloring to each cup with a little bit of water. Begin to mix together. If this is your first oobleck experience you will notice it is quite the interesting goo. It will seem hard, but runny at the same time! You want to add your water little by little until you can use force with your fork to move it all to the side, but when you let go it puddles back together. If your still not sure how to make it, the video below will help you out. 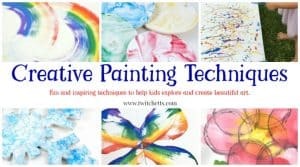 Once your colors are mixed it’s time to start painting! 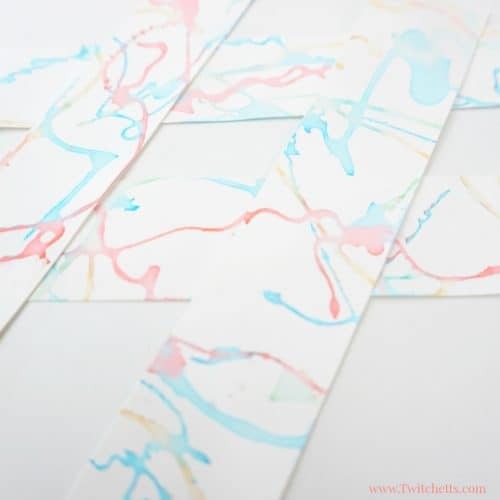 Using a fork or fingers drizzle the oobleck all over your cardstock. 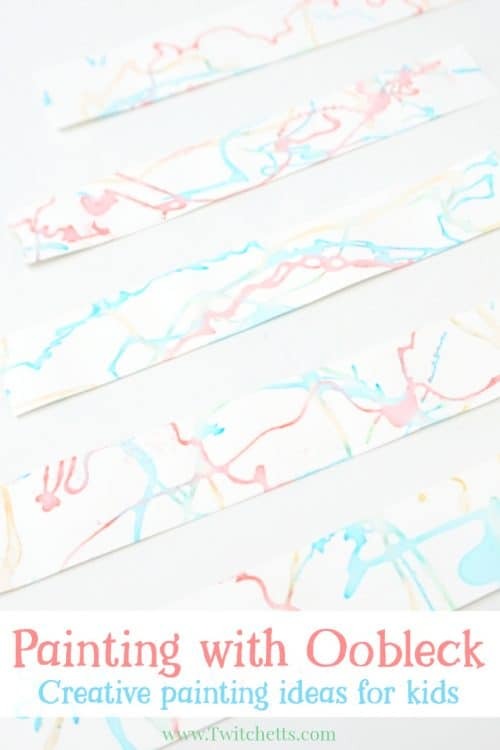 You can cut your cardstock into strips or shapes or just use a sheet! 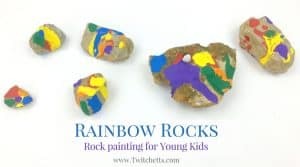 The food coloring will tint your kiddos fingers a bit so if you have a fancy dinner to go to that night, stick to the fork. 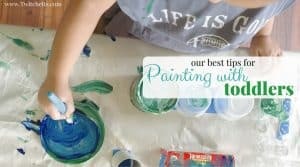 When you’re done painting, allow the oobleck to dry completely. Then scrape off the dried oobleck with a spatula. Check out the beautiful design underneath! 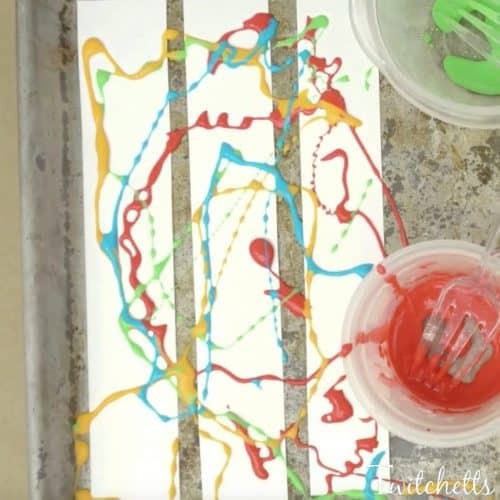 Watch this video for the full tutorial for making oobleck! Painting with oobleck is so much fun! 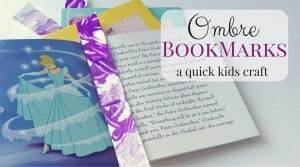 Create bookmarks, cards, or just display this fun unique art!